High Quality Actuators for Railway Equipment | Venture Mfg Co. Linear actuators have made their presence felt in almost every industry and application that involves moving parts, assembly, or components. These devices are used to facilitate smooth movement in a straight line. The railway industry is not an exception to this. The industry has seen a lot of advancements over the years, and it has led to the use of actuators for delivering smooth movement of different components of a railway equipment. 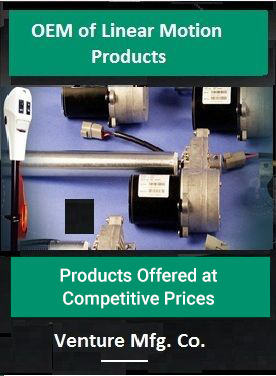 You may find many manufacturers and suppliers of actuators in the US, however, if you want to go with the best, consider Venture Mfg. Co. 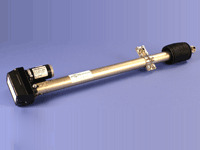 The company is known for manufacturing high-quality actuators for the railway industry. In the railway industry, two most important things are the safety of the passenger and efficiency of the transport. Be it any train car or a tram, each part has to be designed with utmost precision and be able to deliver a reliable performance. In addition to this, it is important to take into account factors such as on-going vibrations, harsh environments, and daily wear and tear. Actuators are therefore used to facilitate easy movement of the parts by taking care of the aforementioned impacting factors. Why Choose Venture Mfg. Linear Actuators for Railway Equipment? Providing high-quality linear and electric linear actuators has been our priority. Our capability to manufacture actuators in varying capabilities have made us one of the most preferred manufacturers in the US. Besides this, you can also get your custom designed actuators depending on your railway equipment requirements.